The island may be small in stature but it's huge when it comes to great places to eat out. There are many Key West restaurants that are worth sampling just to experience the rich history and ambience that you will find at many of these island restaurants. There are also many modern restaurants, such as Hard Rock Cafe or the Benihana Grill if modern is more your preference. A popular Key West restaurant tradition that you also should try at least once if you're visiting the island is a Key West dinner cruise, where you will observe a breath taking and romantic Key West sunset. One of most popular and possibly the best dinner and Key West sunset cruise ships worth mentioning is the clipper ship Islescapes. While seafood is the main theme at a number of the restaurants there are also plenty of other options available to please your palate. There are also a few restaurants that stick to a more Caribbean style theme. If you're a big believer in dining where the local patrons hang out then two of the restaurants that you definitely want to check out would be the Seven Fish restaurant and the Hogfish Bar & Grille restaurant. You wouldn't go to either of these popular Key West restaurants to experience upscale dining, but you would go for some of the best food on island. A good resource for restaurant dining reviews before you venture forth in search of your favorite restaurant or if you just want to check on a local beanery back home would be Zagats. features a full kitchen you are still going to want to make a trip to A & B's. They have some of the finest freshest seafood on the island. You can dine indoors or outdoors on their patio. They specialize in excellent steaks and lobsters from Florida (in-season) and Maine. After your meal you can sample the fine cognac and cigars of Berlin's Martini Bar and enjoy the harbor views. If you're looking for Oysters, Clams, Crab or Lobster you need to visit Alonzo's. They have one of the largest assortments of fresh Oysters (cold or warm water) in the Keys. 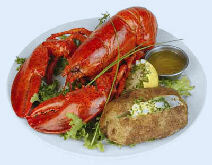 They are located below the A&B Lobster House with a great view of the harbor. This restaurant features some of the best and freshest seafood there is. This Key West restaurant should always be on your bucket list for any vacations in Key West you might be planning. They feature the best roasted gourmet coffee on the island and they roast their own beans. Even though Baby's is located a fair distance from our vacation rental condo if you're a true coffee connisour they it's well worth the trip. They also feature an assortment of freshly baked goodies, decadent sweets, ice cream and an art gallery. Located at Mile Marker 15 on US Highway 1. Watch from your ringside seat as your Master Chef displays his skill in preparing your meal using the Japanese tradition of Teppanyaki. In true Japanese fashion it's as much about the fine art of grill food cooking as the meal itself. They are located right on the Atlantic Ocean and feature complete meals for as low as $16. CAFE MARQUESA and HOTEL - Winner of the 2009 AAA Four Diamond Award! On the corner of Simonton & Fleming Streets. This Key West hotel has been the winner of numerous culinary awards. The Cafe Marquesa Chef Susan Ferry constantly changes the menu to reflect the seasonal availability of their food sources to insure the highest level of quality in each meal they prepare. They feature everything from fresh seafood harvested locally to traditional grilled meats. They also offer a unique appetizer selection and make their decadent desserts on a daily basis. COMMODORE KEY WEST - Our Personal Favorite of all the Key West Restaurants! The Commodore restaurant is our favorite Key West Restaurant. They are located at the scenic Old Historic Seaport. The Commodore is an open air restaurant located right on the waterfront and features two levels. The upstairs offers a more refined upscale dining experience while the bottom level offers a more casual setting. The restaurant specializes in sea food and most entries are priced between $23 to $38. Commodore's offers one of the best happy hour specials on the island even though they don't advertise it. Drinks are 1/2 priced and all the appetizers are also half off. 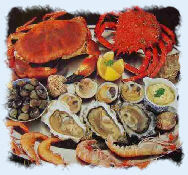 They feature the best appetizer selection for sea food dishes of any place on the island. Their happy hour runs from 4:00 to 6:00 pm. One of the best atmospheres for a seafood restaurant that you will find anywhere. They have open air dining with a great view of the Famous Seaport waterfront and they are considered one of the best overall restaurants in Key West. Featuring live entertainment each day and a happy hour that was voted the best in Key West. Their forty three foot trimaran, Dream Chaser, will provide you with the perfect setting for that Caribbean cruise that you've always dreamed about. The ambiance of the ship and personalities of Captain Ken and his crew will make for a fun and enjoyable evening. Music, wine, beer and sodas are all included with Captain Ken's four course meal. De Pepe's is a family owned and operated Key West restaurant that has been in business for almost a quarter of a century. They feature authentic Cuban food and are considered not only a tourist favorite but a frequent stop for the locals as well. They have a great location on World Famous Mallory Square. Located in a Victorian Mansion the Grand Cafe is a truly unique spectacular dining experience. It has an incredible ambiance that includes a beautiful outdoor garden area. It's known for it's great steaks and mouth watering seafood dishes. This is your chance to experience what Key West was like in the old days. They have stayed true to their heritage and have maintained their blue collar informal setting since their inception. The building was a once authentic shrimp packaging company and of course they are located right on the water front at the Key West Bight. Make sure you bring your appetite! This is where old meets modern. They are located in the center of downtown Key West and feature a gorgeous patio overlooking famous Duval Street. You can also sit in their huge 2nd floor restaurant with it's full bar and terrace and check out their extensive rock 'n' roll memorabilia! One of the real favorites for the locals. You may not go to the hogfish for upscale dining but you certainly will for great seafood prepared in a simple fashion. Affordable and located on the harbor it's a great place to go for casual dining in an old world Key West atmosphere. Indulge yourself with world class cuisine, fantastic service and the some of the best scenery the caribbean has to offer. Islescapes features a thirty three foot remodeled boat that is perfect for any special occasion or maybe just a casual evening out to enjoy the famous Key West Sunset. Islescapes is one of the best dinner cruise ships in the Keys! KELLY'S CARIBBEAN BAR & GRILL - Featuring Courtyard Dining! Kelly's features one of the best and beautiful patios for a great outdoor dining experience. They feature a Caribbean theme menu and also happen to be the southern most micro brewery in the United States. Their beer prices are a bargain and they are known for their fantastic margaritas. KEY WEST HARBOUR YACHT CLUB - Upscale Dining! If you're staying at our vacation rental property, then you're just a stones throw away from the Key West Yacht Club. This Key West resort features an upscale dining experience and they are located right on the water. Great place for a wedding or that special event. They have both indoor and outside seating available. The prices are more on the higher end of the scale. They feature fine Italian cuisine with a European flare. La Trattoria has received a number of awards for their excellence and popularity. They are located in the center of the action on Duval Street. Great place to take your date! LOBO'S MIXED GRILL - Best Value for your Buck! They have more unique items for your dining pleasure than anyone in Key West! They feature over thirty stuffed wraps; top grade meats, cheeses and seafood wrapped in huge fresh tortillas. They also offer free delivery in Old Town Key West! Box lunches available for your group or event. You'll get more than your money's worth at Lobo's. Lobos has a strong local following. MANGIA MANGIA - Specializing in Homemade Pasta's! Even though our condo rental features a beautiful fully equipped kitchen you may have to take an evening off and enjoy one of the best values in a restaurant in the Key West area! They also have some of the greatest home made pasta dishes you will find anywhere. They have won numerous awards including an award winning wine list. They are located a little off the beaten path but are well worth the effort to find. They also feature a garden terrace area for a neat outdoor dining experience. PAT CROCE'S RUM BARREL- If You Like Rum This Is the Place for YOU! They even offer an on-line Rum selection guide for you to learn about the different kinds of rum they offer. They feature live music every night and they have a cool rooftop deck overlooking the Old Town that's a great place to have a cocktail. Located next door to Pirate Soul Museum and overlooks Old Town. ROOFTOP CAFE - Three Time Master Chef Winner! Chef Brendan Orr honed his skills in Paris, France before arriving in Key West to blend the tastes from around the World with Caribbean Cuisine to create his own unique menu. Chef Orr's skills have made him a three time winner of the Master Chefs Classic! They have an extensive wine list and are located by Mallory Square. SARABETH'S - Great Home Cooked Style Meals! Recipient of the James Beard Award, Sarabeth's specializes in American home cooked style meals. They have a solid reputation of putting out quality meals and they also have a great breakfast menu . Sarabeth's features everything from seafood to meat loaf with indoor or outside seating available. They are located in the center of Old Town. Seven fish is Key West's version of your local diner back home. They do cater to many tourists but it has that cozy Mom and Pop small town no frills atmosphere that the locals prefer. The restaurant may be small in size (40 seats) but it's large in reputation and uniqueness. Their claim to fame is their fresh fish and they have gotten great reviews from a number of culinary magazines in the past. They are priced similar to many of the other restaurants in town, which is means bring your wallet. Never seen a Key West sunset from the Ocean! 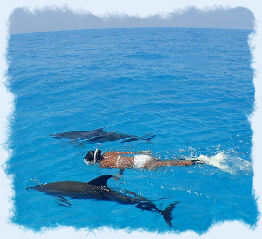 Well come experience what many before you have described as the highlight of their Key West Florida Vacation. Sunset Culinaire is Key West's ultimate private party boat. Mixed Drinks, Beer, Wine, & Champagne are included as part of your package. They have two specialties where you can't go wrong which includes the fresh seafood and the Southwestern Grilled Meats. Turtle Kraals has a interesting history of being the former location of a sea turtle soup cannery that was opened in 1848. This makes for a great seafood atmosphere and their patio is also located right on the water front overlooking the Famous Seaport. Featuring a family owned and operated business that been in existence for over 40 years. The restaurant features outdoor dining and specializes in some excellent steaks and some of the finest seafood dining in the Key West area. They offer both nightly entertainment and complimentary parking! It's worth checking out. Key West's Finest 2 &3 Bedroom Condo Rental Suites on the Beach!